Biography | T. Ryan Mock, Jr.
Ryan Mock leads the firm’s professional liability practice group, and is one of the leading defense lawyers for medical, legal and other professional liability cases in Georgia. Ryan also concentrates on the defense of insurance agents & brokers, and premises liability cases. He has tried and handled a number of high profile lawsuits and has significant experience dealing with local, state, national, and international press and media during litigation. Ryan has represented lawyers and law firms throughout the United States in malpractice actions. He has represented doctors, nurses, hospitals, long-term care facilities, psychologists, therapists, counselors, insurance agents & brokers, real estate agents, and a variety of other professionals throughout the State of Georgia. 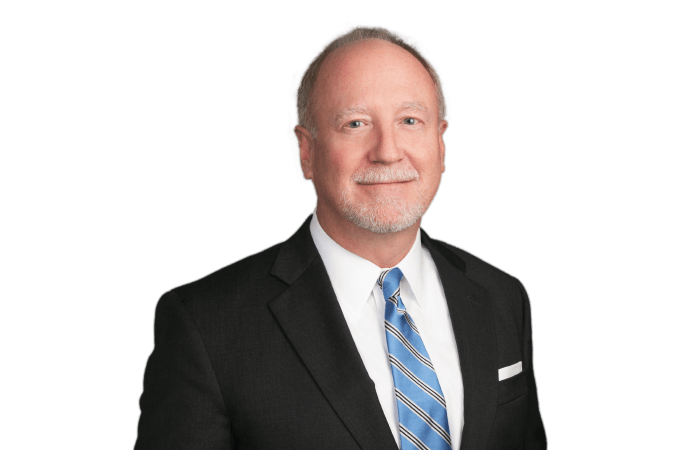 He has represented retail and other business establishments in premises liability cases, from small operations to the 1996 Atlanta Olympic Games. Mr. Mock regularly represents a number of insurance companies including AIG, CNA, Zurich North America, Liberty Mutual, Navigators Pro, and others.